This property is directly associated with the early twentieth century developmental era (1920-1930) when a significant number of commercial buildings were constructed and the modern downtown commercial district was fully established. In 1923, Seattle adopted its first ordinance that regulated specific geographic areas for specified uses; it allowed the most densely concentrated commercial development to occur in the downtown core. 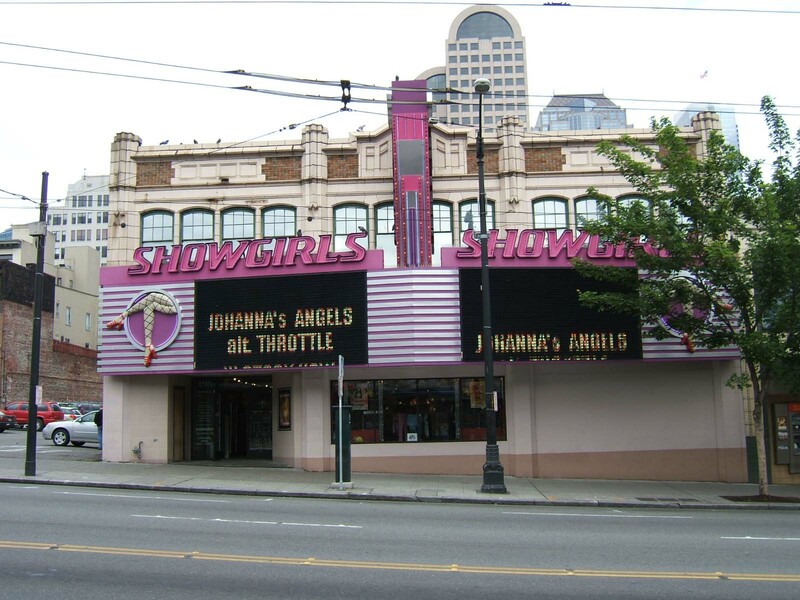 The economic prosperity of the 1920s stimulated the development of numerous major highrise commercial buildings, as well as smaller-scale bank and commercial buildings, major hotels and apartment hotels, club buildings and entertainment facilities, which were all typically designed by leading Seattle architects. During this era, the original residential district was entirely absorbed by commercial and other real estate development. By 1930, virtually all of the old residential properties - as well as many of the immediate post-fire era commercial buildings outside of Pioneer Square - had been demolished or removed. This building is one of a collection of extant two-story commercial block buildings (mostly dating from the 1920s) that share similar building form, scale, exterior cladding and ornate architectural treatment. Like commercial highrise construction of this era, they are typically located at a prominent corner of a downtown block with matching facades at each elevation; however, mid-block locations with a single façade were also commonly constructed. Their most distinctive features are glazed terra cotta cladding and/or other terra cotta components that both reveal the underlying structural system and allowed architects to utilize a wide range of eclectic architecture styles that were particularly popular during this era. In this case the details are drawn from the Classical design mode, which was heavily used in terra cotta design during the 1910s; whereas, in the 1920s a wider range of popular revival styles were designed and constructed. During this era, neighborhood commercial districts also flourished with similar building types. Other extant terra cotta clad two-story, commercial block buildings that are located downtown and fit within this category include: the Ames Building (Charles Bebb, 1914), Broderick Building (John Graham, Sr., 1922), Liberty Building (Nevins and Horrocks, 1924), Centennial Building (Henry Bittman, 1925), Mann Building/Embassy Theater (Henry Bittman, 1926) and the much altered/partly demolished Pande Cameron Building (Henry Bittman, 1928). Similar extant two-story, commercial block buildings that are partially clad or decorated with terra cotta ornament include: the S.J. Holmes Building (J. Lister Holmes, 1924); Jordan Building (Lawton & Moldenhour, 1920) and the Colony Club (John Creutzer, 1928). The building was designed and constructed in 1924 for Dr. Samuel Judd Holmes, a prominent Seattle physician, and his brother Henry E. Holmes, the president of a wholesale drug company. The distinctive store and loft was designed by Dr. S.J. Holmes son, J. Lister Holmes and most likely built for real estate investment purposes. This appears to be one J. Lister Holmes earliest commissions upon having established his firm in 1922. He is known to have designed other store and commercial buildings, an apartment house and a hotel during this era. The distinctive Tudor Revival design may have been preferred by his client father who was himself trained in Europe. The retail spaces were used historically for a variety of purposes, including; drug stores, cigar shop, barbershop, and restaurants (York Lunch). The loft space was initially used for offices and by herbalists (Chan & Kong) and in 1945 adapted to a bowling alley. J. Lister Holmes (1891-1986) received his degree in architecture from the University of Pennsylvania in 1913. He returned to Seattle to work for several firms and established his own practice in 1922. His Beaux-Arts training enabled him to design eclectic and revival style homes for a considerable number of prominent citizens. Holmes executed designs in a range of architectural idioms, including English Tudor, Spanish Colonial, Norman Provincial and 18th century French. Among his designs are Collinswood on Bainbridge Island and several University of Washington fraternity houses. During the Depression he began designing houses in the newly-developed International Style and served as the chief architect for the Seattle Housing Authority’s first public housing project, Yesler Terrace. After the war he continued his work in the International Style, designing clinics, banks, and schools as well as residences. This building is a mostly intact example of a distinct downtown property type, a two-story, terra cotta decorated commercial block. [The current signage installation - that is removable - is the major alteration] It is a notable example of commercial block design executed in a Tudor Revival design mode utilizing glazed terra cotta cladding and other terra cotta components, which remain partly visible and may be in generally sound condition. Furthermore, it is associated with the career of an important local architect, J. Lister Holmes. Prominently located mid-block on the east side of First Avenue between Pike and Pine Streets, this two-story commercial block originally housed three retail spaces and loft uses. It measures 60’ x 111’ and exhibits Tudor Revival style architectural ornament. The reinforced concrete structure is clad with cream-color glazed terra cotta and brick and is further distinguished by a prominent parapet and enframed window surrounds and trim. The two-part commercial block façade is divided by terra cotta pilasters into three bays on First Avenue. At the upper floor level the terra cotta clad bays include original segmental arched windows set in groups of four with multi-pane 6/1 wooden sash. The intact brick parapet includes a central stepped terra cotta panel flanked by terra cotta clad pier caps and spandrel ornament. The original storefront level included a terra cotta clad segmental arched opening at each of the three bays and multi-pane mezzanine level windows. The entire storefront appears to have been reconstructed or covered with modern materials and signage. A large and highly obtrusive modern neon and plastic sign covers the entire width of the storefront up to the window sill level above. There do not appear to be any intact or architecturally significant interior building features, finishes or public spaces. City of Seattle, Department of Planning and Development, Microfilm Records.